Is he worth It ? 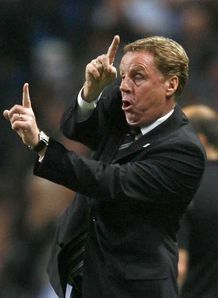 ….. Redknapp Set To Make Offer ? A few sources are today throwing around the talk of a possible deal to bring Villa wide man Ashley Young to the Lane ….. But what about the cost ? With Young apparently valued by the Villa board at £30m – yes, you read that right £30m, Harry Redknapp is reportedly preparing to offer 3 players in exchange for the England hopeful’s services. Jermaine Jenas, Robbie Keane and David Bentley are the players in question, some may be happy to see the back of all 3 at the moment, and we’d be lucky to get £20m for them individually in the current financial climate, but the question is ……. Is Ashley Young of equivalent value to all 3 put together? I personally would love to see Young in a Spurs shirt come August 14th, lining up against Man City for the opening Prem fixture, but my opinion is that he’s worth nearer the £15-20m mark ?.?.? Jenas, Keane and Bentley are all good players in their own rights and to be honest, I’d like to see Bentley given more time at the club. But if Harry were to strike a deal involving Keane and Jenas then I’d be happy ….. both players have probably done their best work in the lilywhite shirt and could probably do with a fresh start elsewhere to prevent their careers from petering out. If the rumours turn out to have an ounce of truth in them ….. would you welcome this particular deal? Would you like to see Ashley Young in a Spurs shirt ? 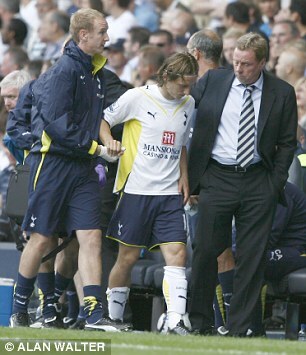 Would you be glad to see the back of the 3 Spurs men in question or would you like to see any / all 3 retained? Let us know in the comments box below ……. Striker Merry-Go-Round On Cards ? …..
2 Serie ‘A’ Goal Machines Linked – Keano Celtic Loan Return Mooted. Despite reports to the contrary, our chances of signing 2 of Serie ‘A’s finest forward players appear to have improved . Huntelaar ,26, has endured a frustrating time in Italy, similar to the spell he had at Real Madrid, however his goals – minutes played ratio has been very good and with his value to be set at around £10-12m he would seem to be the perfect choice for Harry Redknapp’s side. With reports in Italy suggesting that White Hart Lane will be his destination, I for one would be delighted to see this one come off! Another player recently linked with the club is Edinson Cavani. After the Palermo president publicly announced last week that a double deal had been agreed with Spurs involving defender Simon Kjaer, he was forced to quickly backtrack after the lillywhites came out and denied any contact with the Italian club! Whether the interest in Cavani is real or not remains to be seen but should Redknapp be looking to the Uruguayan for extra firepower next season his cause will have been helped by the reluctance of Palermo to sell any of their better players to another Italian club. Cavani’s dream of becoming ‘the Wayne Rooney of Inter Milan’ now appears to be off the cards leaving Spurs as the highest profile club currently linked with the players signature, however I’d personally prefer to see the club looking elsewhere … Huntelaar in particular! The player himself has said that he would not be overly keen on a move to the premiership and heading into our most important season in recent memory I’d like to see a squad of players assembled that want to be at the club and that are prepared to fight for the badge !!! Meanwhile one player seemingly heading the opposite way through the revolving door out of White Hart Lane is Republic of Ireland international striker Robbie Keane. “Has Neil been speaking to Robbie? Definitely,” Mjallby told the Daily Record. “I don’t know Tottenham’s thinking when it comes to Robbie. “He is out of our reach when it comes to buying him. But a loan would be perfect for us. To buy someone at Robbie’s level would be impossible. We don’t have that kind of money. “The only way we could get that kind of player would be to ride our luck and maybe find someone on loan and make sure it’s a quality player who is going to give us goals. Well, Robbie’s been a great player for us since he signed at the start of the 2002/3 season but after the Liverpool move and subsequent hit-and-miss form since his return, you can’t help but feel that the time is right for both Keano and the club to move on. If he does go , we’ll wish him well! World Cup Sensation To Consider His Options …..
Random "Triffic" Blogs Comments Off on World Cup Sensation To Consider His Options …..
Japanese World Cup sensation Keisuke Honda has put potential suitors on red alert by admitting that he is considering his future with Russian club CSKA Moscow. Honda’s agent Kees Ploegsma has said that his client would seriously consider a move away from the Dynamo Stadium should a serious offer from a big club be tabled. “Keisuke plays in a beautiful city for an important club, but obviously if there are offers from big European clubs it is difficult to say ‘no’. With Spurs, Arsenal and Liverpool all reportedly interested in the Japanese forward and Arsene Wenger being so impressed by his world cup performances that he referred to him as a ‘genius’, would you be happy to see Honda at White Hart Lane next season? I must say that I was impressed with him during his country’s run in South Africa but among the host of players we are currently being linked with I would prefer to see Harry splash the cash elsewhere. 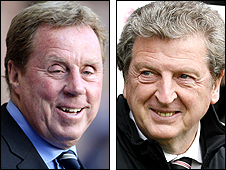 Tottenham manager Harry Redknapp and Fulham boss Roy Hodgson will be part of BBC Sport’s studio line-up during the 2010 World Cup with summer. Redknapp was named Barclays Premier League Manager of the Season this year, with Hodgson taking the League Managers Association award. They join previously announced pundits Clarence Seedorf, Jurgen Klinsmann and Emmanuel Adebayor on the BBC sofas. “We are delighted,” said Philip Bernie, BBC Head of TV Sport. I am looking forward to watching the World Cup even more now, Harry and Roy both 2 top managers and will always tell it how it is. It’s good to see they both had a great season and are now getting offers to be pundits. Right for all you guys unsure exactly how this Champions Lgeaue qualifying round works, I will try to explain it for you all to the best of my ability to give you a better idea of our chances. There will be seedings and this will work in our favour, because we have had 2 Uefa Cup (Europa League) runs in the past few seasons we have ranked up points, Spurs are currently ranked 30th in Europe with a coefficient of 56.199. Anyway the seedings works based on the points, and how well other clubs from the same domestic leagues have performed in european competitions in recent seasons. With both of these taken into account we rank in the top 5 clubs in the qualifying round and will be seeded straight into the final qualifying round. The likes of Celtic will have to play in the 3rd qualifying round because they don’t get seeded. So the 3rd qualifying round will be made up of 10 teams in the non champions section, these are 5 teams which have gone through previous rounds and 5 more teams including celtic which have been seeded to come in at this stage. Whoever overcomes the 3rd qualifying round will then come through to the 4th and final qualifying round to face the top seeds (of which 1 will be us). The draw will see the top 5 seeds take on the teams from the 3rd qualifying round in a 2 leg match which will see the winners enter the Champions League proper. To clarify this in simple terms, we go straight into the 4th and final round of qualifying because English teams have a good record in Europe, and then we will be seeded in that round because we have ranked up our own points by our previous couple of seasons in the Uefa Cup. It’s funny because if Manchester City Or Aston Villa finished 4th this season they would have not been seeded because of their Uefa coefficient points would have not been enough. When the final qualifying round draw takes place we can expect to avoid Sevilla, Ajax, Weder Bremen, Zenit. We will face 1 of the teams who overcomes the 3rd qualifying round. I hope this helps you all better understand how it works because it can be very confusing. Please subscribe for future updates, or if i have made a mistake please contact me. With the summer here and the champions league looming Tottenham have been linked with a host of players, the difference this summer is that they are actually big name players due to the 4th placed finish. 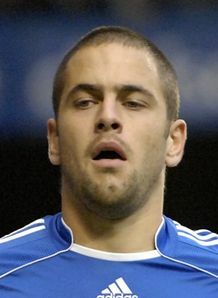 Now me personally I would love to get in Joe Cole on a free as it would be a great deal for us, with the likes of Jenas, dos santos, O’hara and Bentley likely to leave from our midfield we need to replace it with quality and Cole fits the bill. We also keep getting linked with Micah Richards who I also believe would be a great signing due to his young age and ability to play centre back or right back. Up front the best striker that has been linked with a move to the lane is probably dzeko, could he handle the premiership if he were to come? although something tells me harry still has his sneaky eye on bringing back Berbatov. There are more names to reel off but with 4th place and champions league football to offer next season it will surely be our most exciting summer to date.